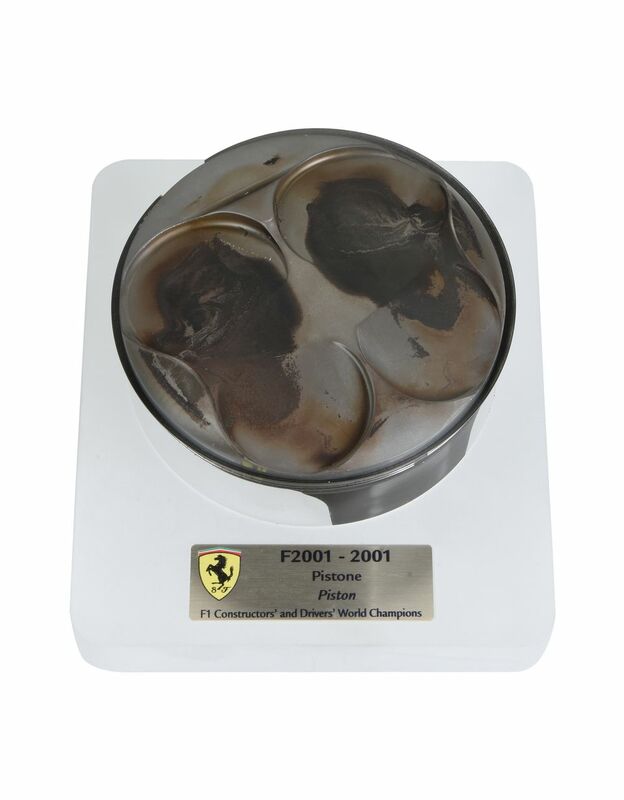 The original piston of the F2001 is a cult collector's item for Scuderia Ferrari fans. 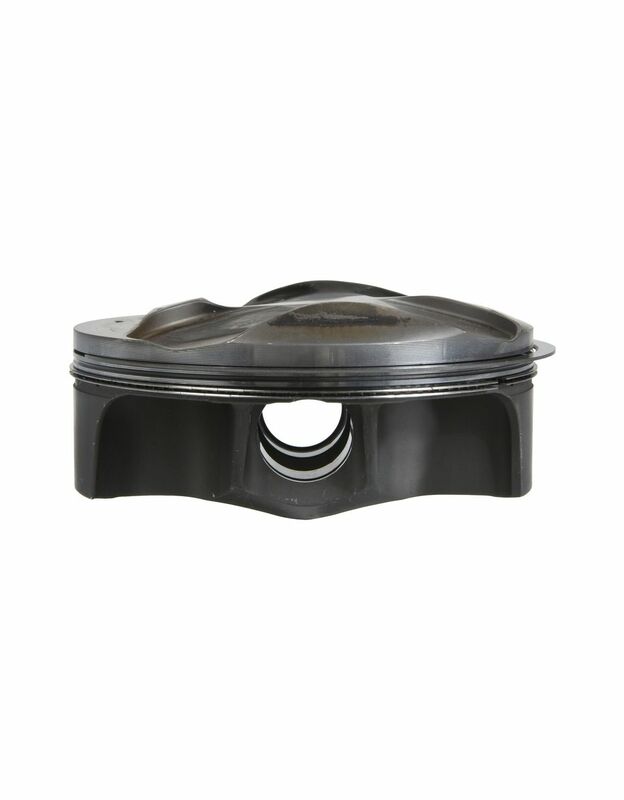 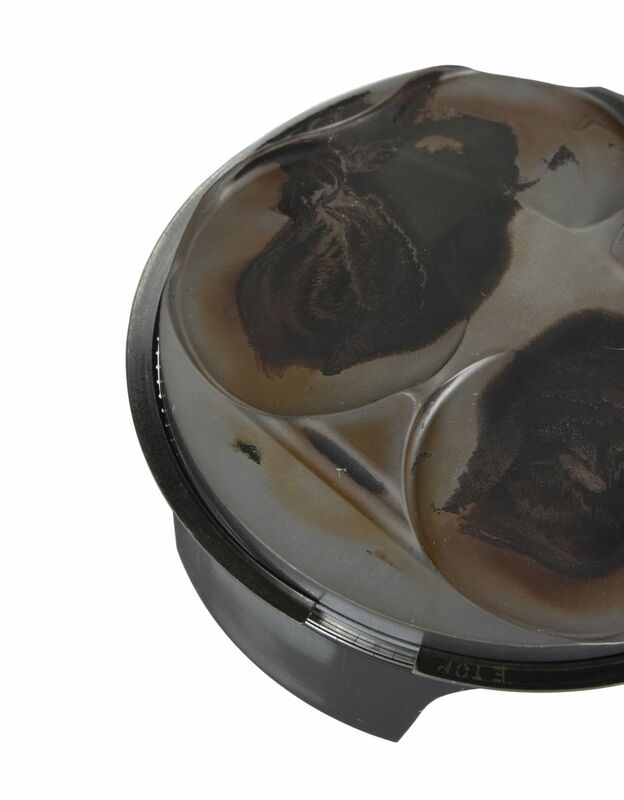 A true part of F1 history, this original piston belonged to a 2001 car. 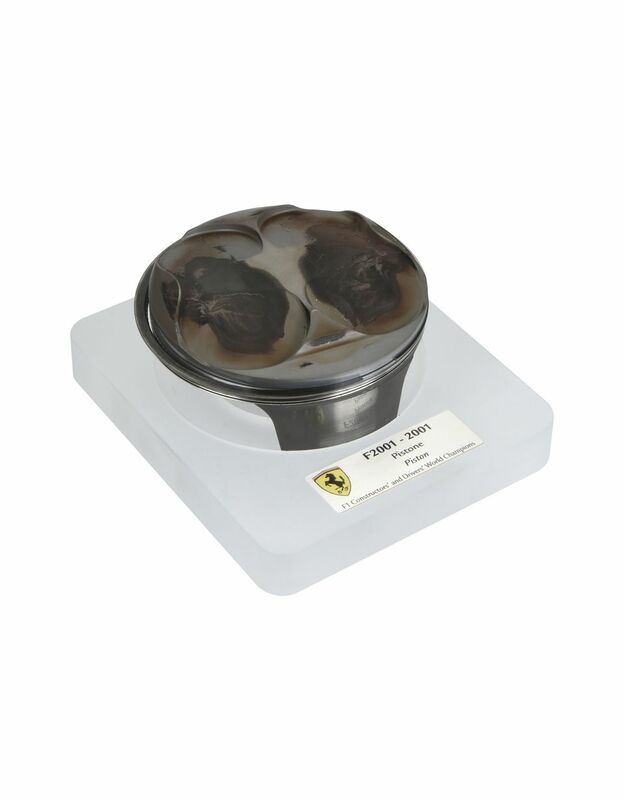 It is installed on a frosted Plexiglas base complete with metal nameplate providing all its data, and is contained in a red box with cover. 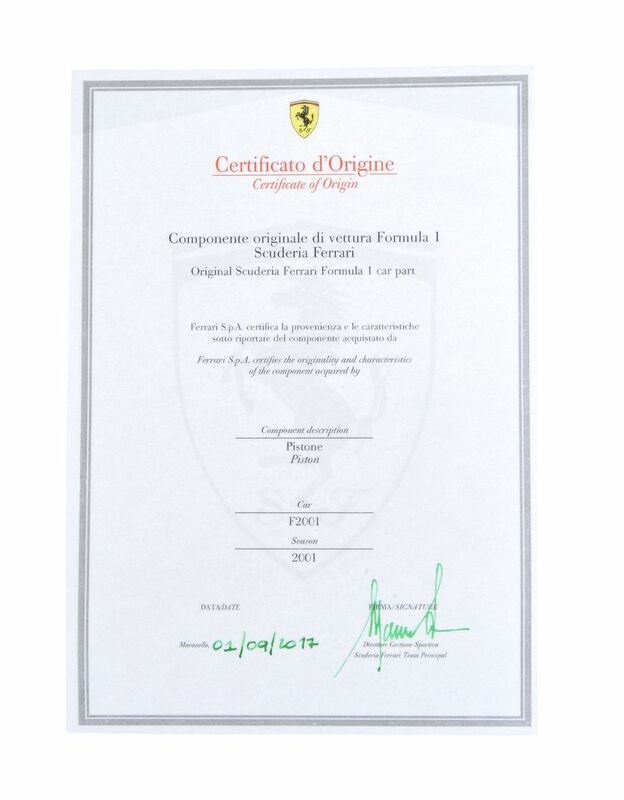 The collector’s item comes with a certificate of authenticity signed by Ferrari’s CEO.